There is nothing like impending motherhood to remind me of how little control I have over anything in my life. This uncertainty is just exacerbated by my raging hormones and constant re-thinking of every choice and decision I make on a daily basis. 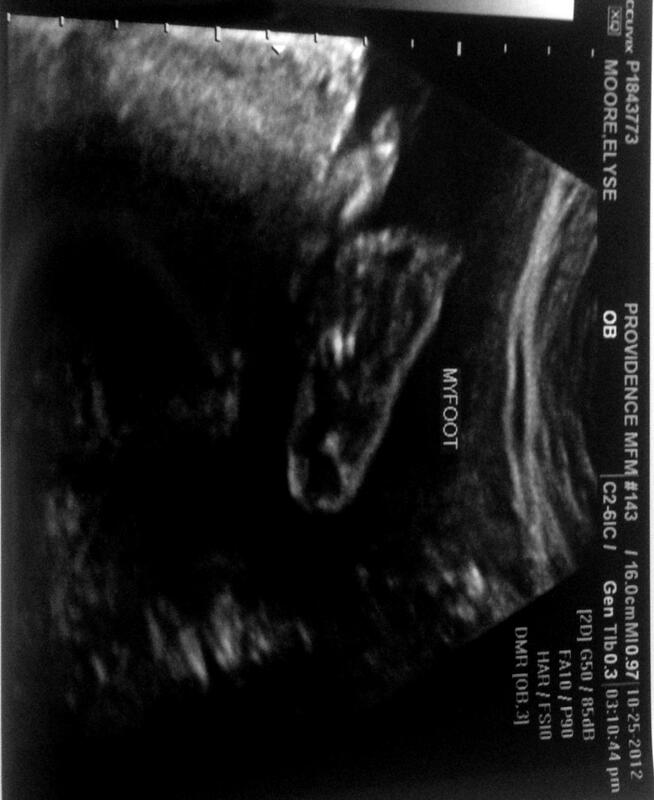 Yesterday, I had a 30-week ultrasound to determine my baby’s growth and development. After marveling at detailed facial features (this baby might have my nose after all) and a perfectly functional heart (I could see all four chambers), I was informed that this child is in the 95th percentile for growth. Wait a second….My child is big? My shock transitioned into slight vindication when I realized the explanation for my 3.5 pound weight gain over the last few weeks, but then that quickly receded into fear. Fear for my child’s development, fear that I had somehow missed something with all of my blood sugar checks, fear for my ever-still-so-small lady parts! The doctor only made it worse by bringing up cesearan section talk in the exam room following the ultrasound. It doesn’t take a genius to realize that my 5’2” frame probably would do better with a 6-7lb baby than a 10lb baby, but I resented him for even mentioning it yet. I resented my doctor for always bringing up every worst case scenario. I resented him for dismissing my objections with bringing my baby’s health into it. I made sure to let him know that while he is only thinking about this child, I am thinking of my (up to) three other unborn children and their health and safety with delivery in the future. He told me that Vaginal Birth after Cesearean is common (yeah right!) and I shut down a little. The same doctor who told me that he would like to see me get to 38 weeks before induction due to my diabetes then told me that inducing early wouldn’t help me and that we would have to discuss scheduling a c-section if the baby continued to grow at this rate. Frustration, coupled with pregnancy-magnified anxiety clouded me the whole drive home. I wasn’t thinking clearly and my mood was sour. I have done everything I can possibly do to ensure that my child has every fighting chance and a normal, non-diseased life. What the heck am I supposed to do now???? I put one hand on my belly while driving as if to excuse my child from having done anything wrong. 95th percentile should belong to children of really tall people, but if I am supposed to birth a linebacker, then so be it. It wasn’t really until this morning that I realized where my fear and resentment were really coming from. When I failed to look to God to answer me in my distress I found my thoughts getting darker and more angry. Like the child who gets upset when his older sibling tells him he won’t get to do something when the parent or babysitter has clearly said otherwise, I looked only to my own doubt and frustration and never once thought that maybe God knows a little more about this child than the doctor does. We can look at my child through monitors and sonograms and modern technology, but God sees this child with His eyes. Nothing is hidden from Him. He knows exactly the date and time that this child will pass through to this side of life and all my doctors can do is estimate, guess and rely on technology to make decisions. They do their best, but when they tell me educated guesses about my child or my ability to bear this child naturally, I can’t throw a fit and feel defeated. I have to look to God (who knows the ACTUAL weight and height and whose nose the child has) to give me my answers. A Spending Freeze. Why not? Prepping 365 days a year. Learning to prep for the worse one post at a time. fun·da·men·tal: serving as a basis supporting existence or determining essential structure or function. A Sheep Seeking Her Shepherd.